The new Adidas Deerupt is a creative marketer’s idea of putting the words “delight” and “disrupt” together to form a clever(?) name for the shoe. Whether you like the name or not this style will attract some serious looks. As you’ll see in this review, the Deerupt is comfortable, well-made and very lightweight. Sneaker shoe design has come a long way since Adidas started the concept with the ‘Superstar’ in 1969. 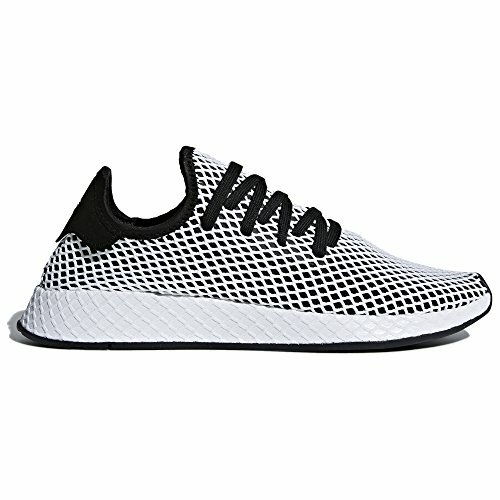 In 2018 Adidas have reached somewhat of a pinnacle, with the coming of the new Adidas Deerupt, in the state of the art, of the cross-trainer. 1 What about the shoes themselves? 2 What makes the Adidas Deerupt so special? What about the shoes themselves? The shoes instantly catch your eye, as being something different. When you look at the Adidas Deerupt you are just wishing to put them on. It looks so comfortable and the pleasing shape and the color combinations combined with the 3D mesh covering it, just adds to the attraction. They will give outstanding performance in all running activities, be that on the treadmill or the badminton court. They also have the added benefit of looking fantastic with jeans on a night out or around the house, day to day. It is obvious from looking closely at the shoe, it is extremely well constructed. It is also very clear to see that some very special materials and manufacturing techniques are used to make the shoe. It is clear that Adidas have used all their considerable expertise, to design what is truly a landmark shoe. What makes the Adidas Deerupt so special? Firstly, it is an Adidas shoe. The brand has been as much of a byword for sneakers, as Hoover is for vacuum cleaners. To say that the company takes sneaker design seriously, is an understatement. The company has a long established design and research department, that is second to none in the industry. Adidas are constantly searching for new materials, incorporating them into shoe design and then testing them. They research the needs of a shoe for different applications, be they for running on a track, playing football on grass or for fashion. The Adidas Deerupt takes the best elements from all the different shoe designs and materials, to produce what is really a hybrid of a very technologically capable running shoe, and a shoe for everyday use. Below we drill down into the specific design features of the shoe. There is something ever so pleasing about the profile of the shoe. It is very hard to deviate from the standard shoe shape by virtue of the shape of our feet, however Adidas have managed to change all that. In profile Adidas Deerupt is shaped as a Scalene Triangle, something we would remember from our math classes. It is all straight lines, three straight lines in a wedge. Something that has not been seen before and achieved by extending the sole at an angle outwards. This increases the width of the sole for added traction on the ground. The shoes, given that they are designed for activities, are extremely comfortable. The very flexible material of the uppers conforms to the foot, giving great support, with great flexibility. The shock absorbency of the shoe is also a key feature and the materials used in the sole of the shoe, have been carefully selected and tested, to absorb the shock of your foot landing on hard ground with every step. The lack of hard eyelets for the laces means that there is nothing to dig into your foot when tightening the laces, even if you like your shoes to be tight on your feet. 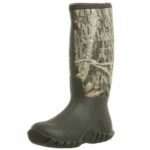 All around, the shoe is very comfortable, even after extended use in a strenuous activity, leaving your feet fresh and free of any bruising. The colors are varied across the different components of the shoe and the construction materials. This allows each component to be another color, with the white or black mesh overlaying it. The under sole is either black or white. The sides of the sole and the uppers come in white, red, pink and blue combinations. The laces come in black or white, you can always change this and the mesh comes in either black or white. This makes for either very colorful shoes or all white or black and white. It is yet to be seen if more colors become available but it is highly likely they will be released. Adidas does not list the weight of the shoe anywhere in their press release, however, we can see from looking at these that they are super lightweight. 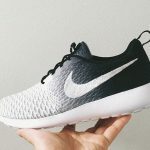 The gradual reduction in weight of sneakers and has been a constant goal and with the increased availability of modern materials, this has become more apparent in recent years. Wearing lighter shoes has been proved to make for less fatigue on your feet and body, whether you are running or shopping. 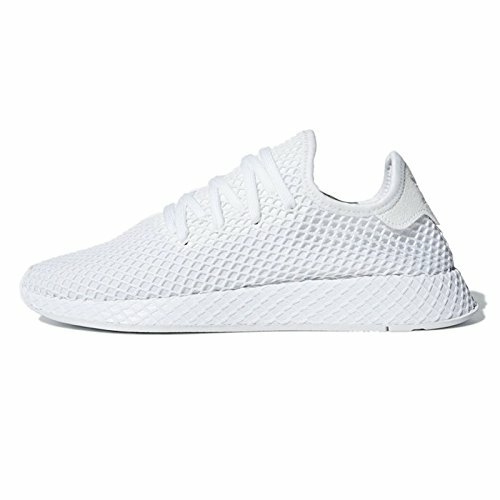 Let’s talk about the Deerupt mesh. 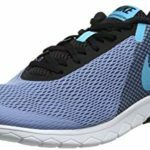 It has all been about mesh in recent sneaker design and here it has been taken to its ultimate and most simple conclusion, covering the whole of the shoe including the sole. The mesh pattern is also repeated on the soles, however, is printed on rather than being material. 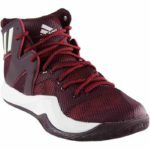 The mesh adds another layer of color to the shoe and breaks up the uniform colors. This makes for a very attractive shoe. Laces. Who needs them when there is Velcro. There is sadly no Velcro fastening option for fastening this shoe, but due to the extreme flexibility and stretchability of the upper, it is unlikely you would ever have to tie the shoelaces anyway. Just set the laces to the right tension and just slip the shoe on and off. The laces come in black or white or you could change that with a color of your choice. The laces sit below the mesh. There are very few negatives to this shoe. 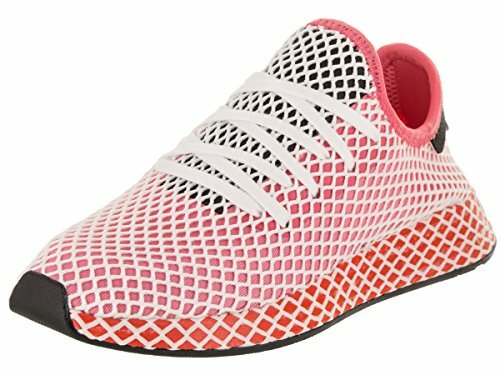 The only big negative that is obvious from first inspection of the Adidas Deerupt, is it will be hard them. The clean bright colors will show any dirt up on the shoe. Due to the construction, with the mesh over the shoe, cleaning will be very difficult. If you do not want to have to take an old toothbrush to the shoe for cleaning after a jog, then avoiding puddles and mud is a must. There is a case for saying that they are only for indoor use. The history of Adidas is steeped in legend. Two brothers, Adolf and Rudolf Dassler started the legend together. It seems though that the two brothers did not exactly see eye to eye, on business matters and decided they would go into the same business, shoes, separately to each other. It all started when they made their first shoe together in 1920, in Germany. They continued developing their designs together and had a major success in the 1936 Olympics, where they supplied shoes to the now legendary runner, Jesse Owens and his record haul of four Gold medals that year. On going their separate ways, Rudolf chose the name the American wildcat for his brand, (which is also very popular) and Adolf decided to combine his first and family name into the now famous word, Adidas. Adolf realized that he needed something in the design of his shoes that would make them stand out from the competition, presumably his brothers’ company included. So it was a year after founding Adidas that he added the easily recognizable ‘3 Stripes’ to his shoes. This would prove to be a masterstroke in marketing, and to this day when we see three stripes, we see Adidas. From these early beginnings on the running track, the brand grew and grew, into different market sectors. In the 1980’s the brand was adopted by the new rising group of Rap musicians who brought the brand into a whole new market. The fashion market. Today we see the three stripes everywhere and has become a mark of quality and fashion. You can read the full history of the company on they Adidas Wikipedia page. Being a big fan of sneakers myself, I am more than a little excited about this new shoe. We will look at the Deerupt in close detail to see what it is all about. 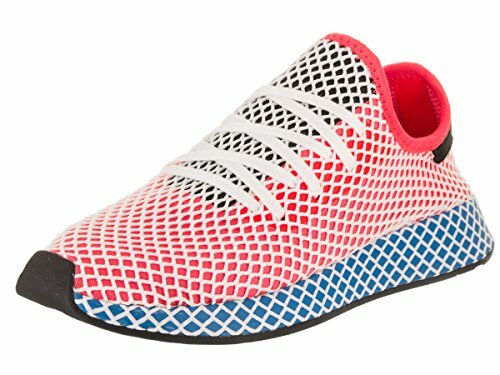 The Adidas Deerupt is an absolutely fantastic new sneaker, from Adidas, in every respect. There is of course a huge line of training shoes available on the market, from a huge line of brands. The market leader is probably Adidas, it is difficult to say exactly, as there is a great deal of competition in the marketplace. Adidas has always been seen to be leading the way in sports shoe design and have been doing this for nearly five decades. You only need to watch any major sporting event to see the Adidas logo on a huge amount of products, not only shoes. They make footballs as well. Get a pair of Adidas shoes and the Deerupt is a great choice. Your feet will love you. The Deerupt has received very high star ratings on respected websites. It seems that all agree, that the Adidas Deerupt is an excellent purchase. 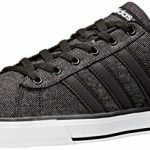 On the addidas.com website, there are currently 142 customer reviews with 4.4 stars, out of a possible 5 stars. I am a writer interested in many topics. I enjoy writing about products that are of interest to me. I hope you find my articles interesting and informative. Thank you.